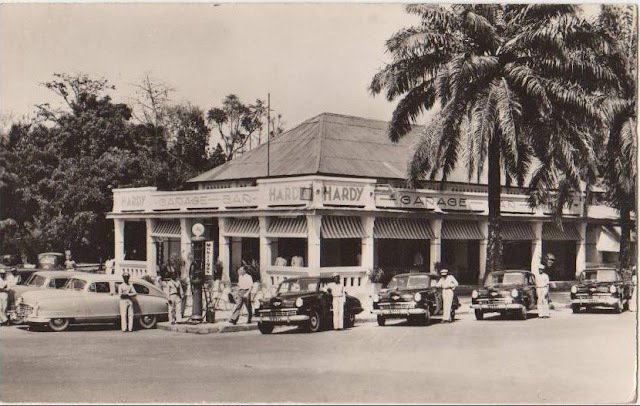 Hardy Bar – This establishment, on a prime location on the Place de la Poste, dates from the 1920s when the eponymous first post office was built in Kinshasa (See February 20, 2011). 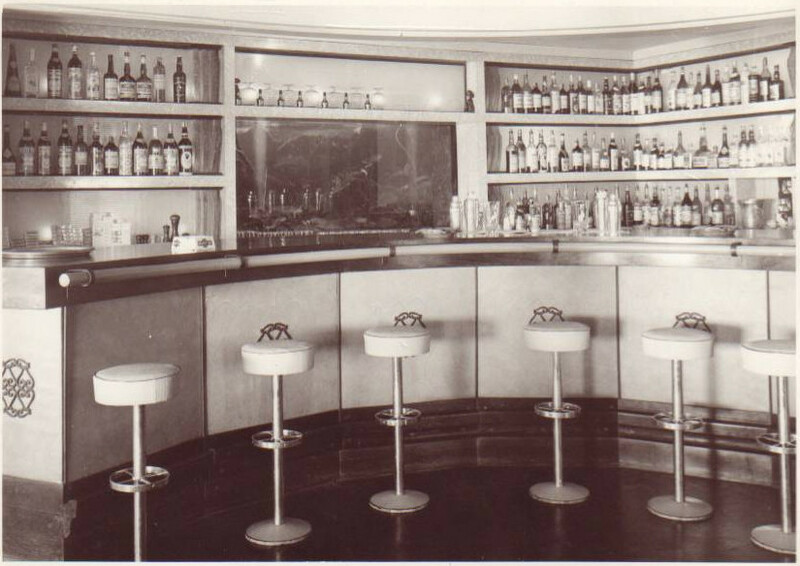 Early on it served both thirsty patrons and their vehicles, with gas pumps set up on the curb. During WWII, the proprietor, Righini, a national from an Axis country, turned the place over to Arthur Hardy, who renamed it Bar Hardy (See May 23, 2011). 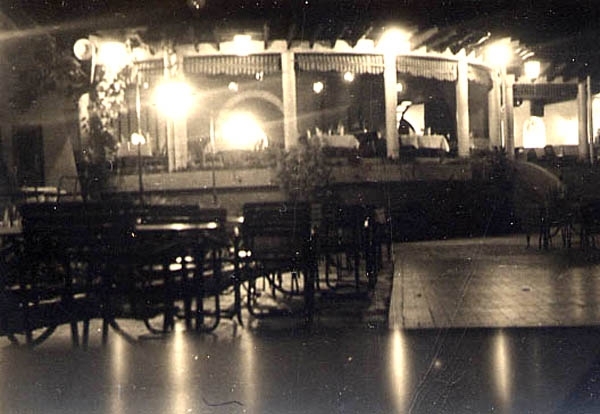 This management maintained until the late 1950s, when the café was renamed “Café Rubbens”, after the street running along the south side of the building. In the late 1950s, this was the only place serving ice cream in Leopoldville. In 2005, the Belgian Centre Wallonie de Bruxelles renovated the structure as the premises of its cultural center. Au Glacier -- Down the street from the Hardy Bar, was “Au Glacier”, a patisserie-confiserie opened by Hoste Mestrez in 1947. This is now the location of Ibiza Bar, one of the hottest clubs downtown. Until the Galleries Presidentiels squatted on and cut off Avenue Rubbens (now Ave. Nation), this was a pleasant street linking the Place de la Poste with Place Braconnier. 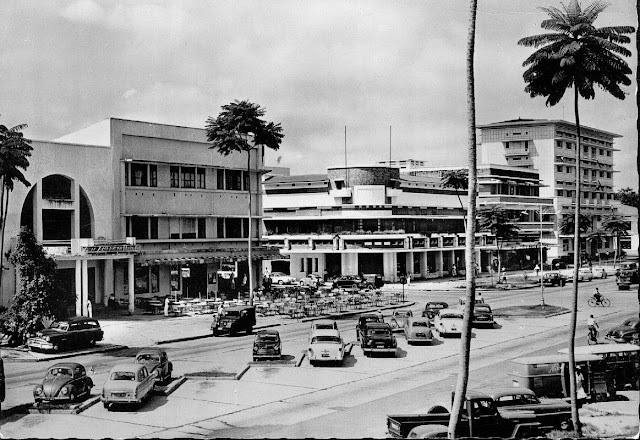 “Au Glacier” was in the former Cominex store (See Mar. 24, 2011) and the balconied building next to it is now the Caf’Conc restaurant. 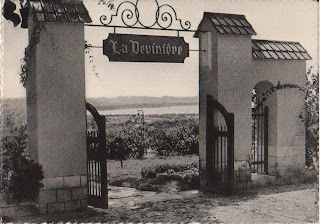 Ave. de la Nation - Ibiza Bar on right. 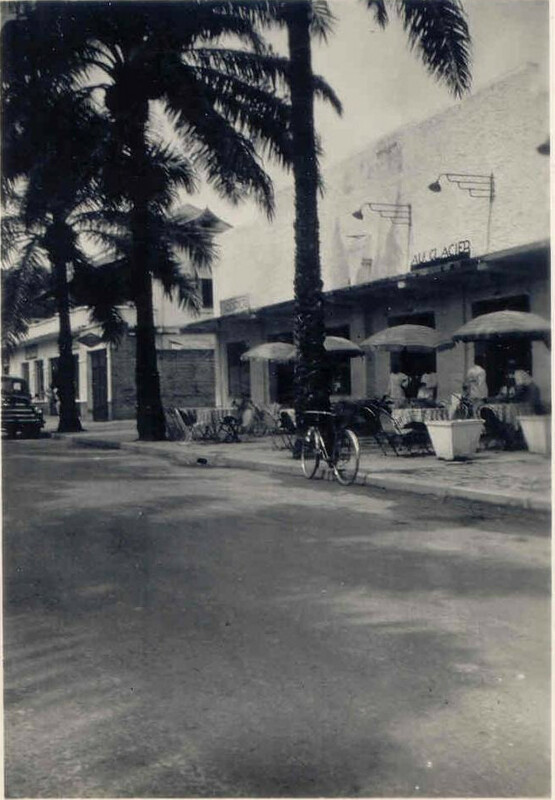 Sidewalk Café Scene -- In the pre-Independence period and after, sidewalk cafes along the Boulevard were quite popular, allowing patrons to take advantage of the cool of the evening. The three-block section from the Regina to Ave. Beernaert featured several including one opposite the Regina at the Diacomichalis building, the Pizzeria, Café de la Paix (where the Relais is today). 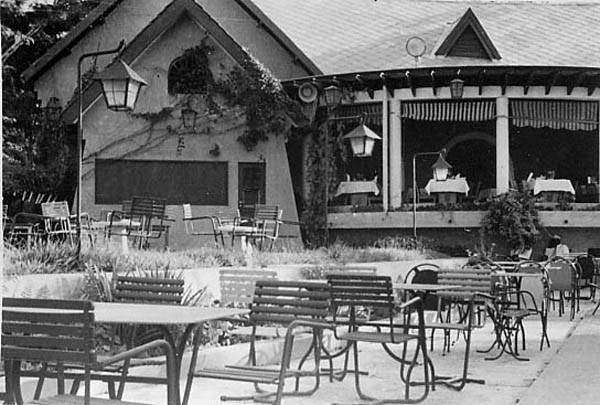 Le Pergola – A personal favorite was the Pergola on the corner of Ave. Boulevard Albert 1er (30e Juin) (See Mar. 19, 2011). 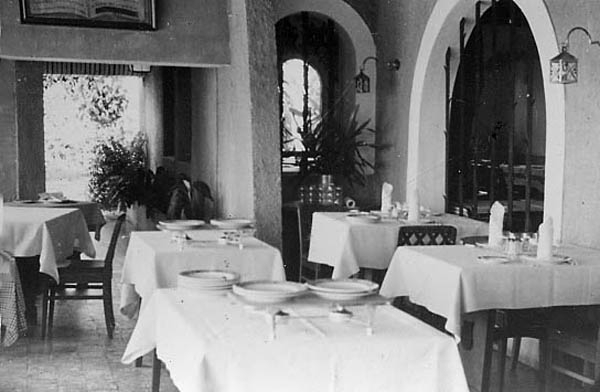 This restaurant, managed by Italians, took over the Nogueira Garage in the late 1950s and featured both an air conditioned in-door dining room as well as an outdoor arbor-garden, the “pergola”. The Capitaine Tartar was excellent. 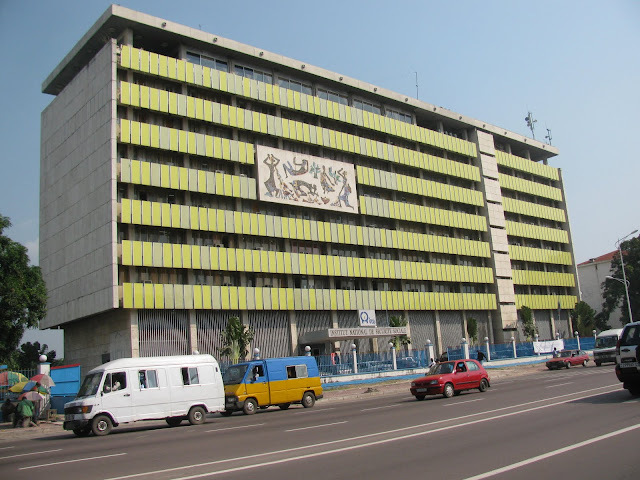 In the early 1970s, the site was cleared to make way for the Banque Commerciale Zairoise (now BCDC). Le Mandarin. The Mandarin Restaurant opened June 30, 1971 on the 7th floor of the new Institut National de Sécurité Sociale building on Boulevard 30e Juin near the Golf Course. 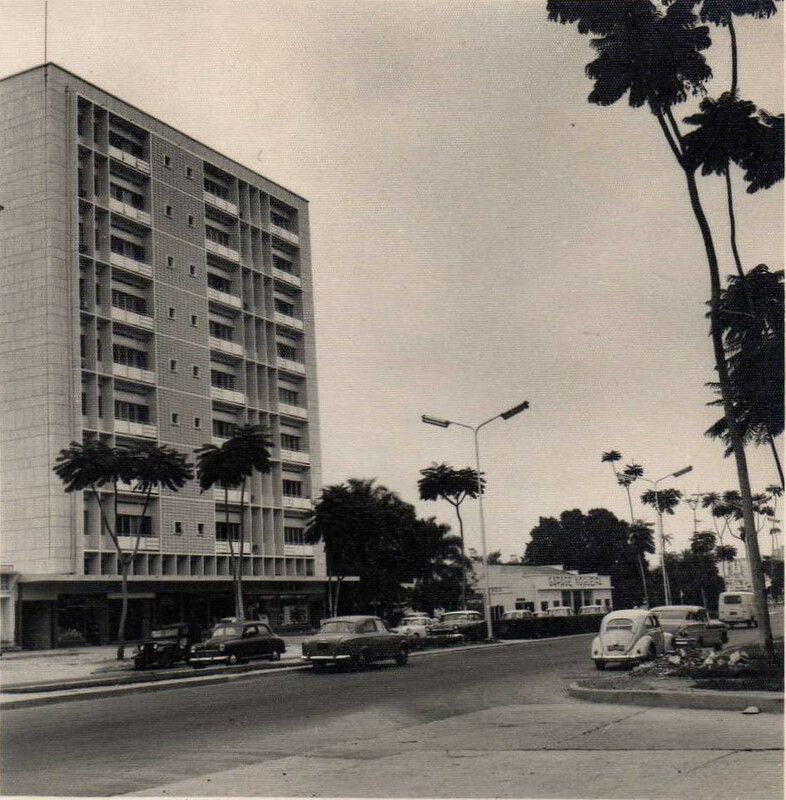 Marcel Lambrichs, who also designed the Belgian Embassy on Place Braconnnier, was the archiect. 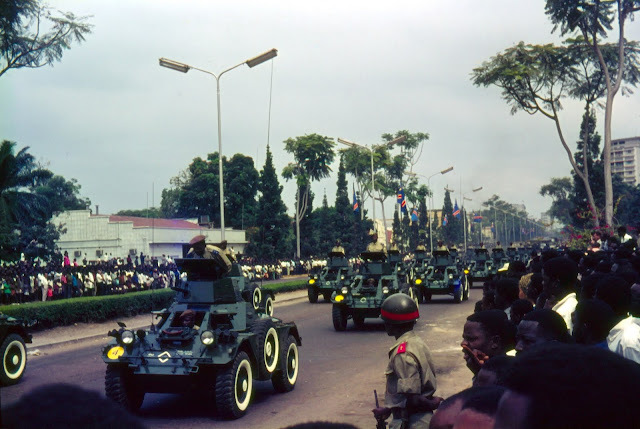 Prior to Mobutu’s celebrated opening to the People’s Republic in 1973, the Chinese were represented in Congo by the Republic of China (Taiwan) and built the pagoda at Nsele. Restaurant Galiema -- This restaurant occupied a prime location on the promontory overlooking Ngaliema Bay and the rapids downstream (See Feb. 20, 2011). 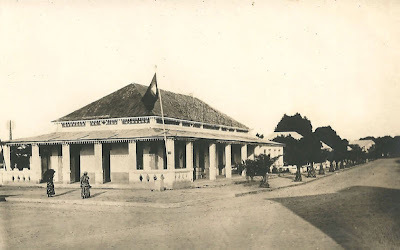 It remained a popular venue after Independence, until it became the Officers’ Mess of the FAZ in the 1980s and is now part of the Presidential compound. 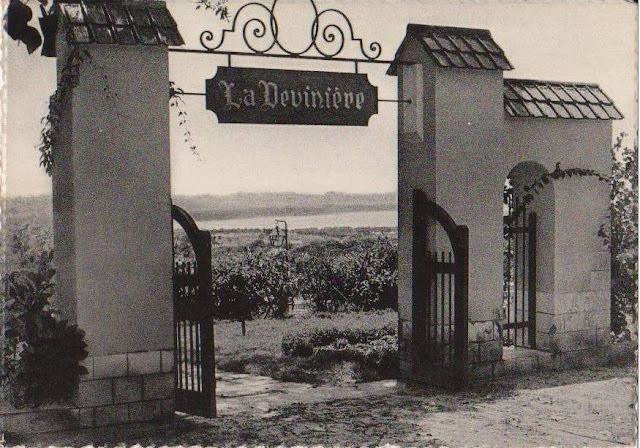 La Devinière -- In the late-1950s, this restaurant on the slopes of the Binza hills was a ways out of town on the road to Matadi, but offered spectacular views of the city and the Congo River rapids. It appears to have had links with Storey-Day’s Le Regina downtown. 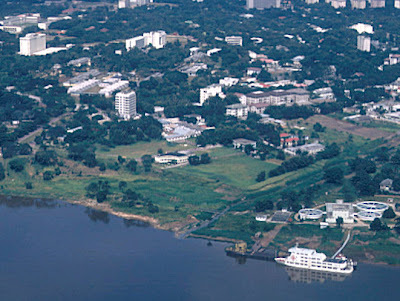 In recent times, the La Devinière property was taken over by a private school, but its proximity to the Presidential Compound (Palais de Marbre) in Binza precludes taking pictures, and not much can be seen behind the perimeter wall. 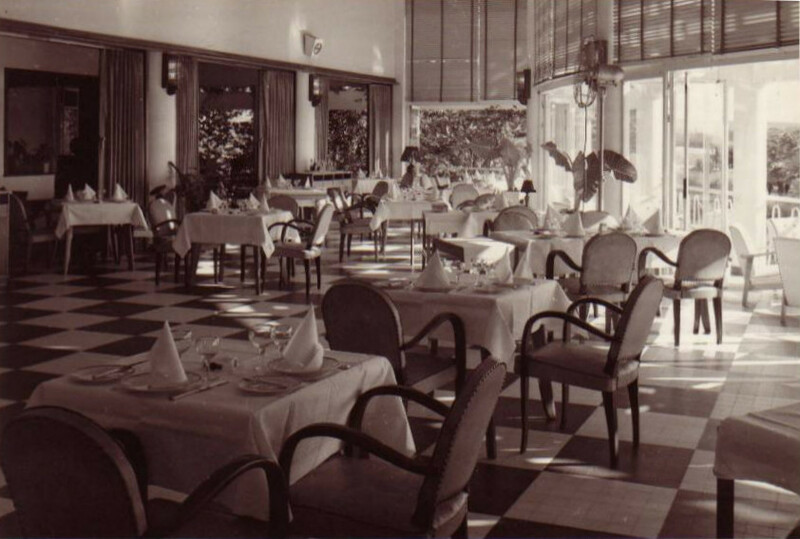 Congolese Restaurants – Congolese did not have a culture of going to restaurants and racial segregation would have prevented them from patronizing the European restaurants described above until just before Independence. Nonetheless, the first restaurants serving Congolese opened in 1942, managed by Angolans. 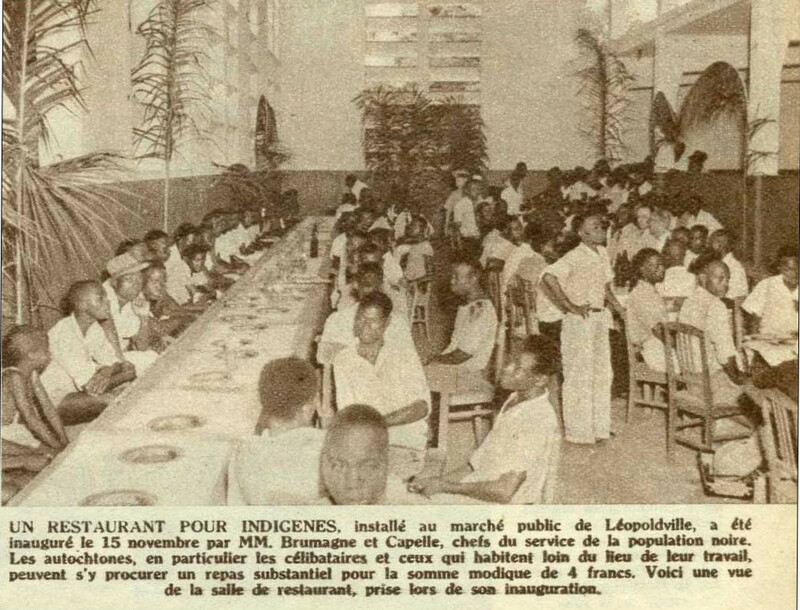 In November 1948, a restaurant for Congolese opened in the Marché. 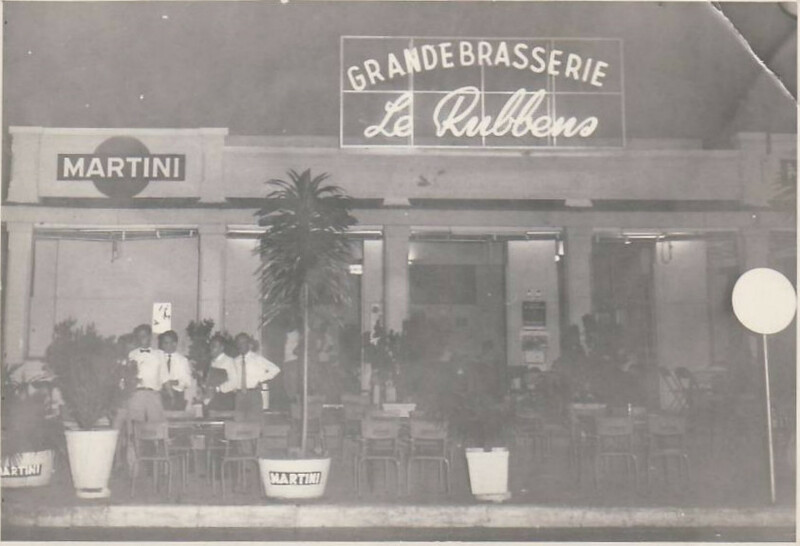 Two years later, the restaurant “Vert” opened in the cité, followed by Lutete’s in 1954. 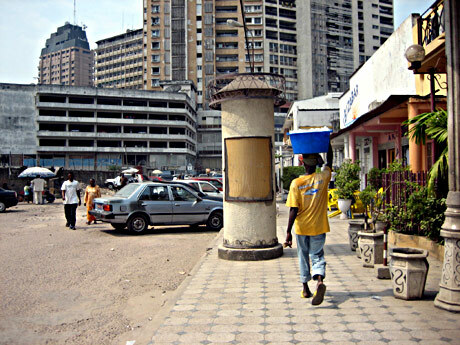 Today, popular restaurants featuring Congolese cuisine in Gombe include, Inzia, La Chaumière, Super Aubaine.